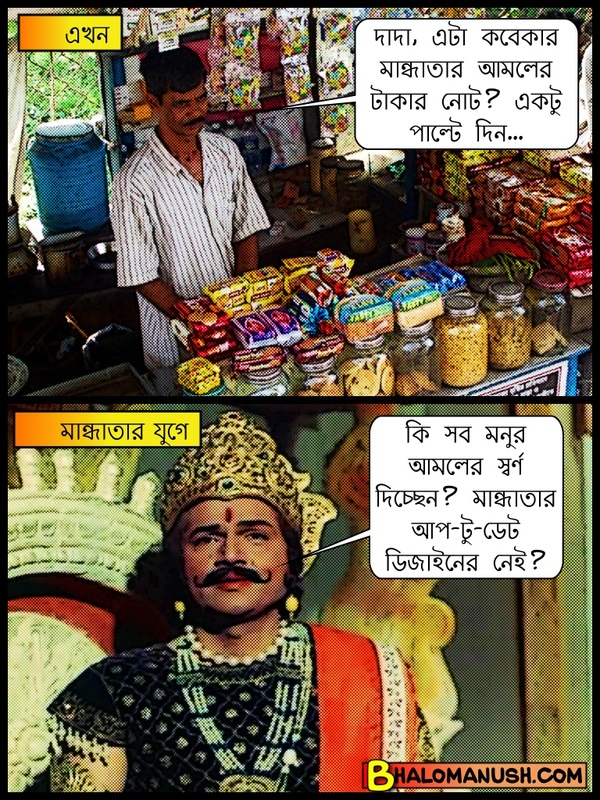 This entry was posted in বাংলা, বাংলা কমিক্‌স, হাসির ছবি, Bangla, Bangla comics, Bengali, Bengali comics, comics, funny Bangla pictures, funny Bengali pictures by Anirban. Bookmark the permalink. Gresham’s law: Bad money drives good money out, dynasty after dynasty, from King Mandhata to Yuvaraj Designate Rahul Gandhi!